On August 17, CES MMA made their debut in Philadelphia, Pennsylvania. On September 14, LFA made their New Jersey debut in Atlantic City. Ring of Combat held their 65th show in Atlantic City a week later on the 21st. Three of the heaviest hitters in regional MMA held big events that showcased the best talent that the area has to offer. 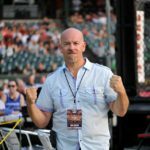 I was in attendance at the CES and ROC shows and watched LFA live on AXS TV. 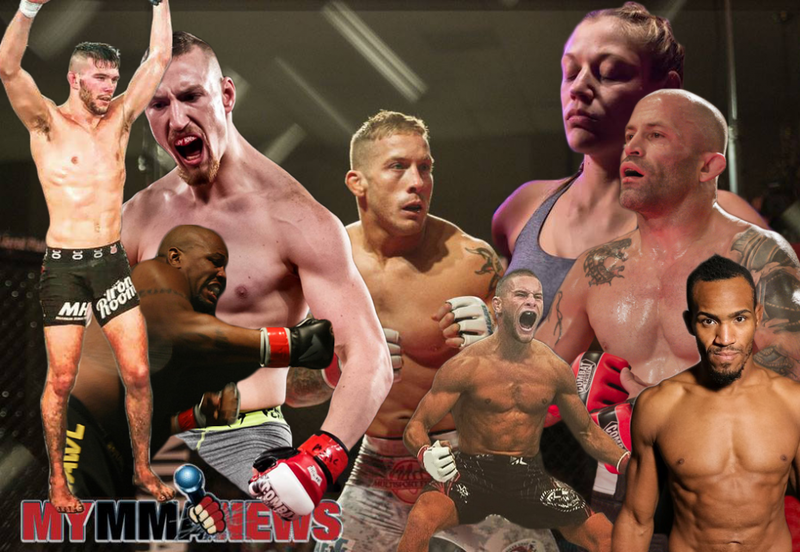 The mixed martial arts community in Pennsylvania and New Jersey were treated to some amazing fights by some of the region’s most talented fighters. Many of these competitors belong on the bigger stage, making much more money. As a fan of the sport and the story of the fighter, I decided to play fantasy matchmaker and put together a card which would make the most sense and blow the roof of any venue that could possibly host it. I’m not naïve; I’ve been involved in the MMA scene too long not to realize the good and bad of the sport I love. There is logistics, politics, competition and sometimes pettiness among promotions, ticket sales, fighter management, money, and other deciding factors that decide the outcome of getting two fighters to sign that contract. I’m putting that all aside and matchmaking a card that any fan would buy a ticket to see. Enough of all of that. Now let’s get to the fun and match up some monsters! Gabriella Gulfin made her professional debut on the Ring of Combat 65 card. She was very impressive in defeating Brittany Gianino via armbar in round one after fending off an early onslaught. Gulfin looks to have a strong jiu-jitsu base and is very composed. Lisa Edinger is the first professional female Muay-thai champion in Pennsylvania. She has been planning on making the crossover to MMA and is just waiting for the right time. That could be soon, as she continues to improve her grappling and is a very lethal striker. She is one of the most exciting fighters to watch that I’ve seen recently. She goes all out and looks to finish fights. Bantamweights… Phil Caracappa is 6-0 and the defending Ring of Combat champion. He is a former wrestler who is dangerous everywhere. He has powerful slams, vicious ground and pound and his striking has now become a strength. At ROC 65, he defeated UFC veteran, Louis ” GoodNight” Gaudinot in what Louis Neglia has called one of the greatest fights in the history of the promotion. Saidyokub Kakharamonov was also on the ROC 65 and finished Giorgi Kudukhashvili in the first round via arm bar to move his record to 5-1. Before this battle, Louis Neglia had said that the winner would be granted a title shot. Neglia is a man of his word so I would expect this fight to possibly take place in the near future. This is an interesting technical match-up for the reigning champion. He has been able to dominate the positioning for most of his previous fights. Kakharamonov is a very skilled grappler. Phil has not had to rely much on his guard because he usually is on top. He trains with elite black belts including his head coach, Dante Rivera. Caracappa has next level skills and tons of cardio. It may just be a matter of getting more wins under his belt until he gets the call. Saidyokub and his coaches probably feel the same way about their guy. These two battle-tested warriors have had numerous episodes on social media that resulted in their followers breaking out their popcorn memes. They really don’t like one another, yet respect one another. Heckman has called Martinez an old man, to which Will agrees. Martinez is 13-3-1 at 38 years old and a Bellator veteran who owns his own school ( Martinez BJJ). Martinez is an elite grappler and a second degree black belt but loves to stand and strike. He takes pride that many think he is exclusively a grappler and loves to prove the critics wrong. Martinez worked the corner for his friend and protege Bill Algeo at ROC 65, where Algeo finished Heckman with a jumping switch kick to the head in the second round. Heckman is a warrior and says he is not done after his 36th pro fight (27-9). Heckman has a double-leg takedown that not many can defend. He most likely won the first round against Algeo where he controlled with his strong wrestling skills. The sticking point here is the weight class. Martinez was almost hospitalized the last time he made the cut to 145 and would gladly face Heckman at 150. Heckman has always fought at 145 so he wants to remain there. Martinez told me that he has one fight left in him and Heckman is the only opponent he wants. This would be a bloodbath if the two could agree on a weight and location. I’d buy a ticket to see this one. Welterweight may be the deepest weight-class in the area. Webb is teammates with CES 170 lb champion, Jeremiah Wells and Sean Brady who just won his debut at LFA in Atlantic City in the main event of the evening. Brady called for a title shot vs James Nakashima. He deserves it. Brady is a beast and remains undefeated at 9-0. Webb owns his own facility, Webb Fitness and MMA and is a UFC veteran with an impressive 11-2 record. If Webb is looking for another high profile fight to get back to the UFC, there is no better choice than challenging the Ring of Combat champion, Sidney Outlaw. Sidney Outlaw is coming off of his title defense at ROC 65 with a second round armbar victory. Outlaw has won 6 in a row, including a unanimous decision on Dana White’s The Contender Series and now sports an 11-3 record. Neglia tells me that Sidney has finally found a home at 170 after struggling in the past to make lightweight. Outlaw is peaking and is a well rounded fighter who is comfortable everywhere. His last loss is to current UFC fighter Gregor “the Gift ” Gillespie. Outlaw not only was the first one to make it past the first round with Gillespie, he had Gregor’s back as the 1st round ended and frustrated him for most of the fight. Despite the loss, Outlaw earned tons of respect and confidence from that performance. Who wouldn’t want to see a fight where the fighters combined for a 22-5 record? This may be a little premature as Joe ” Bodybagz” Pyfer is fighting on the Art of War 8 card coming up on October 5th vs Lorenzo Hunt. Pyfer is 2-0 and is the talk of the MMA community in Philadelphia. He has a huge following and brings swagger and talent along with a tremendous work ethic. Bellator veteran and his close friend, Sammy “O” Oropeza has taken Joe under his wing and has guided him in all the right directions. Pyfer is also close and trains with Team Balance, led by the Godfather of Philadelphia BJJ, Ricardo Migliarese. Chants of ” Bodybagz, Bodybagz, Bodybag” have been a current theme at every one of his fights. I believe his future will be in the UFC. He’s that good. Thomas Powell seems to have found his groove. After starting his pro career with two losses, he has returned with two consecutive knockouts to even his record at 2-2. His vicious 21 second knockout at ROC 65 was a highlight of the night as the southpaw came out at the opening bell throwing bombs and ended it very quickly. This would be a high energy fight and nonstop action. This fight may kill me. I have become friends with both of these two men and want only the best for each of them. I will have an extremely hard time watching this fight if it comes about. Daukaus is the hottest heavyweight in the region. He is 7-2 with 4 straight finishes. He’s nimble on his feet for a big man and has heavy hands. He also showed amazing resiliency and heart as he was clipped early vs Edwin Smart but came back later in the first round with a brutal combination to end the fight by KO at ROC 65. Zu Anyanwu (14-5) was recently released from his UFC contract. He got a raw deal after taking a fight on very short notice. He was getting in the best condition of his life to mount a comeback after a suspension from the USADA. I ran into Zu at his strength and conditioning session with Power by Pohler and he looked amazing and ready to kill. He is similar to Daukaus in that he has quick feet and one punch knockout power. His right hand is vicious. It’s unquestioned in my mind that these two Philly fighters are the best right now at Heavyweight and a fight that would raise the hair on people’s necks, especially mine. These two should already have UFC contracts. Bill ” Senor” Perfecto is the reigning ROC 145 lb champion. He is a former wrestler, turned elite grappler, turned fighter who loves his muay-thai and would gladly stand and exchange with anybody. He has an arsenal unlike anyone I’ve seen in years. Kicks, punches, elbows, all from different angles as well as an eerie calmness to his game. He is the thinking man’s fighter. Mentally he is as prepared as possible as he will study film and attack weaknesses. At 11-3, two of his losses are to current UFC fighters, Shane Burgos and Jared Gordon. Pound per pound, he is right near the top of the food chain for me in the region. He also runs his own establishment, Algeo Kickboxing and MMA in King of Prussia Pennsylvania and has a deep fight team who compete in grappling, kickboxing and MMA. Pat Sabatini is a physical specimen. Recently coming off of a 1st round submission victory (RNC) at CES MMA 52 in Philly, he is now 9-2 and should really be 10-1 after the judges brutally scored his fight for the hometown fighter at Victory FC in Indiana. I’m still shaking my head at that decision. Sabatini has moved on and not complained and gotten back to work. Pat is also a high level BJJ practioner and taken his striking to new levels. This match-up would be my favorite of all. They are both tremendous people outside of the cage and fierce competitors inside. The talent would just ooze out of the cage if this fight ever took place.